I write this after seeing a number of officers do some really dumb things in my 28 year career in the manner in which they supported their commanders or chain of command in trying times. 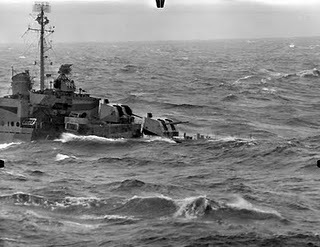 While none of these incidents could be described as mutiny they were certainly acts which undermined the chain of command, endangered the mission and had they occurred in a combat zone or in emergent conditions could have gotten soldiers or sailors killed. The Caine Mutiny is a classic on leadership either in book or movie form. I prefer the book but I am captivated by the performances of Humphrey Bogart and Jose Ferrer. In this essay I go through the movie and book and illustrate my point with quotations from it. There has never been a mutiny on a United States Navy ship yet the book and later the movie The Caine Mutiny by Herman Wouk is one of the most poignant books on leadership in existence. The book gained popular success and was made into a movie in 1954 starring Humphrey Bogart, Van Johnson and Fred MacMurray, Jose Ferrer and Robert Francis. The story centers around the officers or the wardroom of the USS Caine, an elderly Destroyer Minesweeper which had been in continuous combat in the South Pacific. In the book she is a First World War One 1250 ton Wickes or Clemson class four piper. In the movie she is played by the USS Thompson DD-627/DMS-38 a 2500 ton Gleaves class destroyer converted into a Destroyer Minesweeper since by the time the movie was made no “four pipers” were left in existence. 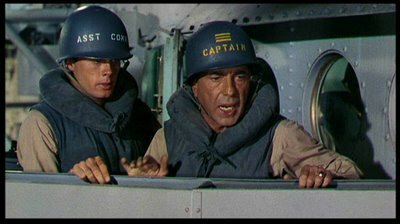 It took the film’s producers many months to convince the Navy to endorse the film because of the subject matter with the Navy only relenting when the producers agreed to place a disclaimer at the beginning of the film that there has never been a mutiny aboard a US Navy ship. Keith: Well, sir, to be honest, yes, sir. DeVriess: Well, I only “hope” that you’re good enough for the Caine. DeVriess: She’s not a battleship or a carrier; the Caine is a beaten-up tub. After 18 months of combat it takes 24 hours a day just to keep her in one piece. 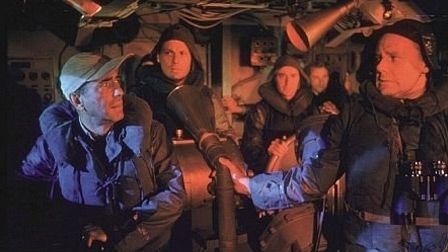 When the ship is caught in the great typhoon, sometimes known as “Halsey’s typhoon” which in actuality caused the loss of three destroyers and heavy damage to numerous ships, Queeg freezes on the bridge in a dispute with his officers over the action that needs to be taken. Queeg wants to maintain the fleet course and speed while the bridge watch including the Executive Officer and Ensign Keith want him to steer an opposite course. In the exchange Queeg apparently frozen by fear insists on following fleet course and when Queeg freezes relieve him under Article 184 of Naval Regulations. The ship survives the storm and upon the ship’s return to San Francisco a Court Martial is convened charging Maryk and Keith with mutiny. The scene ends with everyone knowing that Maryk and Keith will be acquitted. Greenwald’s clients are exonerated but the story does not end there. While the officers celebrate the acquittal a drunken Greenwald arrives announces that he feels guilty for “torpedoing Queeg” and excoriates the wardroom and brutally identifies Kiefer as the “author of the Caine mutiny” and makes very pointed comments that any officer would be wise to heed. Greenwald: He didn’t endanger anybody’s life! You did! All of you! You’re a fine bunch of officers. Greenwald: And now we come to the man who should have stood trial. The Caine’s favorite author. The Shakespeare whose testimony nearly sunk us all. Tell ’em, Keefer. Keefer: No, you go ahead. You’re telling it better. Greenwald: You ought to read his testimony. He never even HEARD of Captain Queeg! Maryk: Let’s forget it, Barney. Greenwald: Queeg was sick, he couldn’t help himself. But you, you’re real healthy. Only you didn’t have one-tenth the guts that he had. Keefer: Except I never fooled myself, Mr. Greenwald. Greenwald: I wanna drink a toast to you, Mr. Keefer. From the beginning you hated the Navy. And then you thought up this whole idea and you managed to keep your skirts nice and starched and clean, even in the court martial. Steve Maryk will always be remembered as a mutineer. But you, you’ll publish your novel, you’ll make a million bucks, you’ll marry a big movie star, and for the rest of your life you’ll live with your conscience, if you have any. Here’s to the real author of the Caine mutiny. Here’s to you, Mr. Keefer. Greenwald: If you wanna do anything about it, I’ll be outside. I’m a lot drunker than you are – so it’ll be a fair fight. 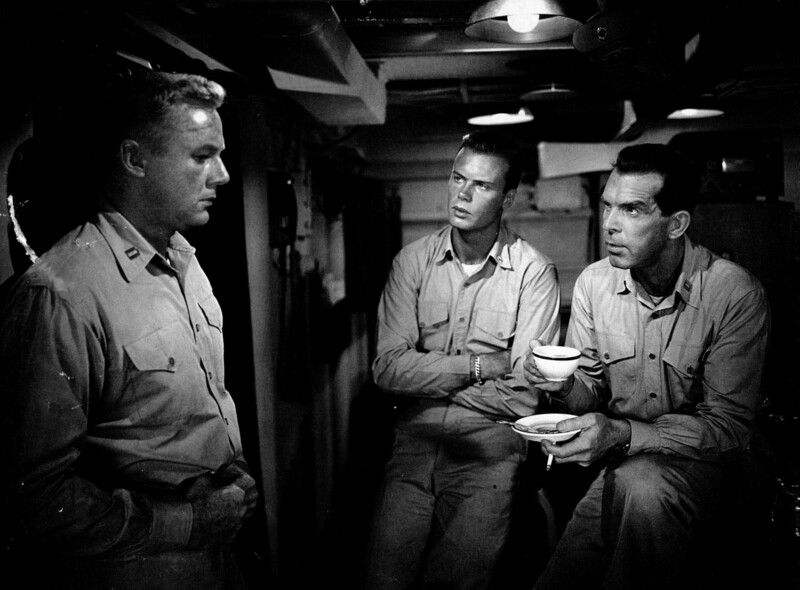 The movie ends with Keefer alone as his fellow officer leave the party and Keith receiving orders to a new destroyer commanded by Captain DeVriess. However the book has another ending. In it Keefer becomes the commanding officer of the Caine and Keith the XO. The ship is hit by a Kamikaze and Keefer loses his nerve and in a truly cowardly fashion abandons the ship and his crew leaving Keith to save the Caine which he does. As a leader it is important to support the commanding officer, especially if he or she is going through a difficult time. While this does not mean that subordinates should ignore illegal actions of a commander as the XO of a ship did recently resulting in his and the CO’s relief for cause, but officers from any service do not have the luxury of subverting their commander or chain of command based on any personal like, dislike or any ideological, political or religious agenda. A prime example of the latter was former Chaplain Gordon Klingenschmitt who waged a vicious campaign against every Commanding Officer that he worked for and the Navy in order to push his own political-religious views on his sailors and in the media. There are certainly other examples but no to belabor the point I will end here. Queeq, in retrospect, was clearly suffering from PTSD. Not detected yet in WWII. But ASW work is quite nerve-wracking. He probably was and his wardroom failed him. But, would the crew have lived if they had continued to follow Queeg’s orders? 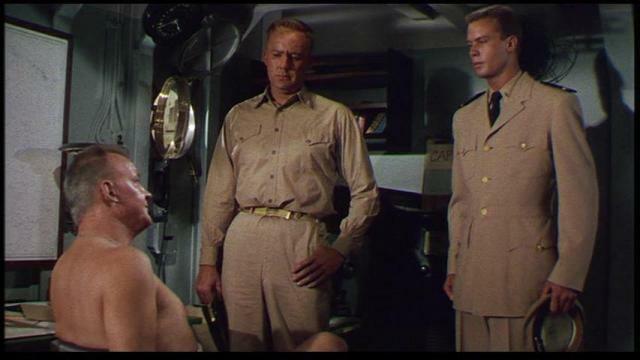 When it is life or death of hundreds of men who are on a ship that is being torn apart, then Van Johnson’s character did the right thing even if it sullied his reputation and ended his career. That is what a real person of character does: What is right. Moreover, Queeg would have come apart in that storm whether the other officers had supported him or not. And, if my family member had been on that ship, Van Johnson’s character would have been the real hero. Yes, you follow the leader in the military, but that doesn’t abdicate any officer from doing what is right. That’s what makes it such a great book and film about leadership. It inspires great discussion like this. But the key to the film is where Queeg is rejected by his officers when he asks for help long before that. Thanks for the input, it makes for a great class on naval leadership.